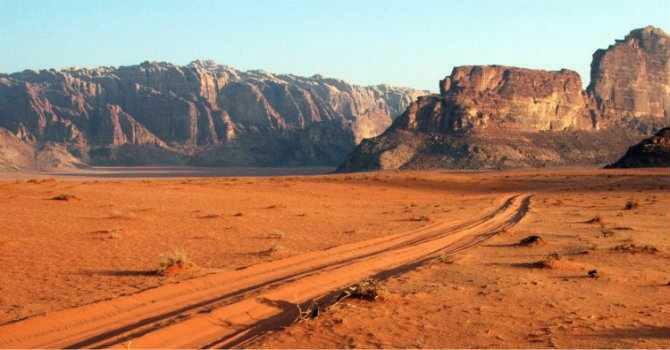 We will pick up morning from the exit door of your cruise ship docking in Aqaba port then travel privately for 40 minutes in Ac vehicle to Wadi Rum protected area, it is the most exciting desert landscapes in world. known in the west after Lawrence of Arabia has described it as "vast, echoing & god like". You will explore the area rugged mountains & colored sand dunes aboard 4x4 Jeep takes you deep in the desert to wander the Jordan canyons, sand dunes, inscriptions and the famous natural rock bridge. End the trip with lunch then transfer back to your cruise ship in Aqaba port.